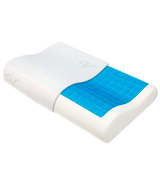 The heat-dissipating gel technology absorbs the heat from your neck and head whilst sleeping. It keeps you comfortable and cool for a perfectly refreshing sleep even on the hottest nights. This orthopaedic pillow will help you create a favourable, healthy, and cosy sleeping environment. The cover can be difficult to remove. The Supportiback Comfort Therapy Orthopedic pillow is designed for your healthy and comfortable sleep. The pillow will help you relieve headaches as well as neck and back pain from prolonged computer use or as a result of certain health conditions. This orthopedic pillow has a super-ergonomic design. It not only supports your neck, head and thoracic spine properly but also allows you to relax your hands on special armrests. 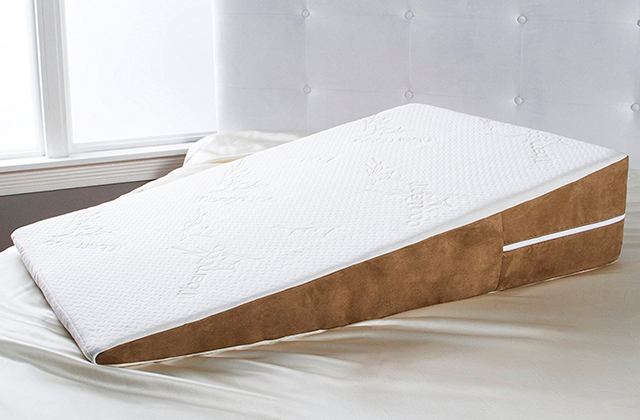 And the slow-rebound memory foam will keep the shape during the sleep perfectly. It might be too hot for use in a stuffy bedroom. The MARNUR Contour Memory Foam Pillow is an extremely flexible pillow that will satisfy various sleeping needs. Thanks to its uber comfortable and ergonomic design, the pillow is an optimal choice for back sleepers, side sleepers, and stomach sleepers. Maximum support is guaranteed. 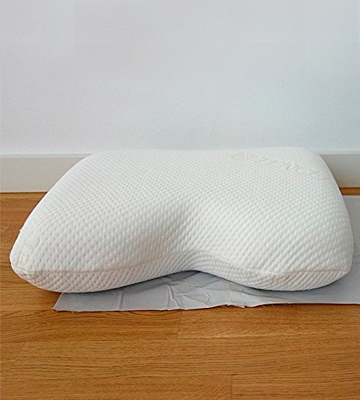 The pillow has small ventilation holes which promote good air circulation, that allows your body to breathe easily. The ROHI pillow will provide you with the best sleeping experience you deserve. You may feel the edges of the pillow during sleep. The ROHI pillow has been designed by leading orthopaedic doctors. It supports your head and neck, putting them in the correct posture and preventing muscle pains and stiffness. The pillow gives good relief of the most common sleep issues like migraines, insomnia, snoring, TMJ, and allergies. 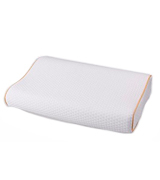 This memory foam orthopaedic pillow contains bamboo fibre that has odour resistant, anti-fungal, and anti-bacterial properties. The pillow prevents the growth of microorganisms that can lead to unpleasant odours and any potential causes of skin inflammation and allergies. The pillowcase has large print inscriptions. The Litotree Neck Pillow is the best orthopedic pillow for neck pain. It's recommended for use by people suffering from osteochondrosis and diseases of the spine. With this pillow, you will sleep like a baby and wake up refreshed every morning. The thermo-regulating Tencel cover nurtures your skin overnight, provides the utmost comfort, and leaves a soft feeling on your skin. It's designed for people with sensitive skin and provides an eco-friendly protection against moths, mites, and bed bugs. 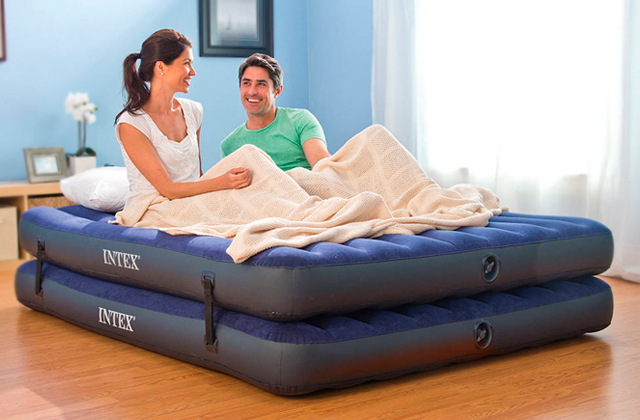 The pillow conforms to the OEKO-TEX Standard 100. The pillow may seem a bit soft to some users. The Luxamel Ergonomic & Orthopedic pillow is suitable for all sleeping positions. The pillow helps alleviate many common forms of back and neck pain, so you'll wake up feeling well-rested and refreshed. 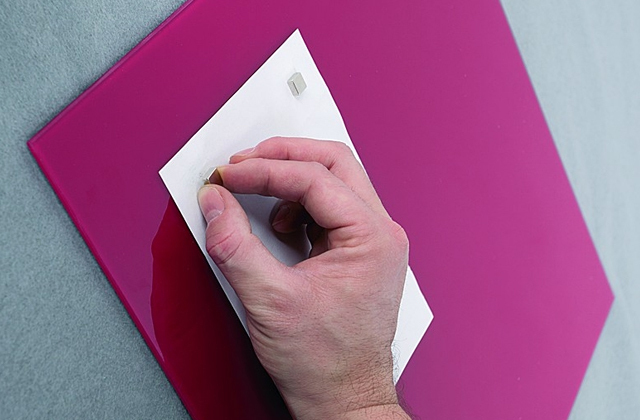 It folds up and can be stored when not in use. Regular pillows hold your neck in an unnatural and twisted position. 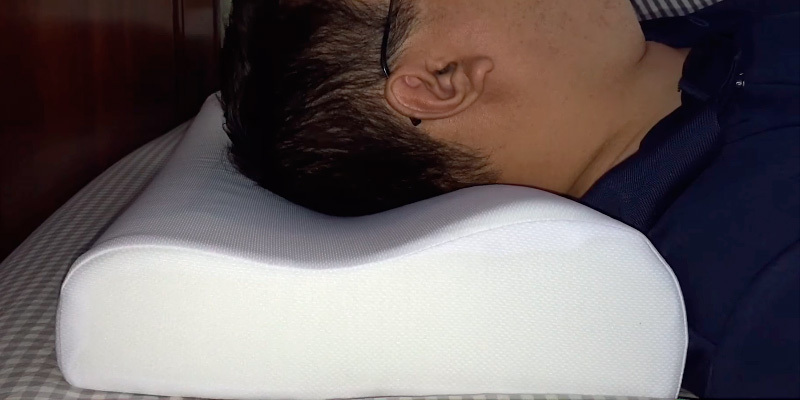 The Supportiback orthopaedic pillow keeps your neck and head in proper alignment with your spine, no matter whether you sleep on your side or back. 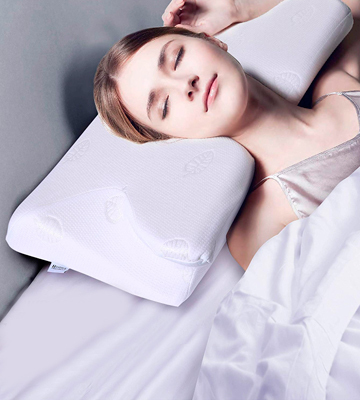 If you are tired of waking up with headaches, cricks, and joint stiffness, this orthopaedic pillow will help you get rid of any pains you are currently suffering from. 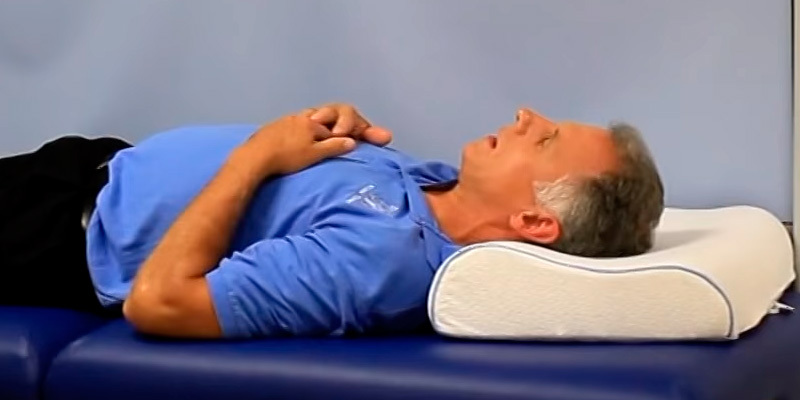 Designed by orthopaedic doctors, the Supportiback orthopaedic pillow helps with upper back pain, shoulder pain, neck pain, headaches, disc problems, snoring, surgery recovery, and more. It’s specially contoured to keep your spine, neck, and head aligned, allowing your muscles to relax naturally. The heat-dissipating gel keeps your neck and head sweat-free. Its therapeutically-proven shape supports your neck and head by evenly distributing weight, increasing oxygen, and relieving pressure on sensitive areas. And sleeping in correct alignment helps improve your breathing and prevents from snoring. When it comes to regular pillows, you have to bunch them up, waking up overnight to find your optimal comfort level. The Supportiback Comfort orthopaedic pillow has high-density, pressure sensitive memory foam that fits the contours of your neck and head. It adjusts to your movements and keeps its shape without flattening out over time. So, you get a good night sleep and wake up feeling more refreshed in the morning. What is more, the manufacturer provides 100% happiness money-back guarantee. You can try out the pillow during 30 days. 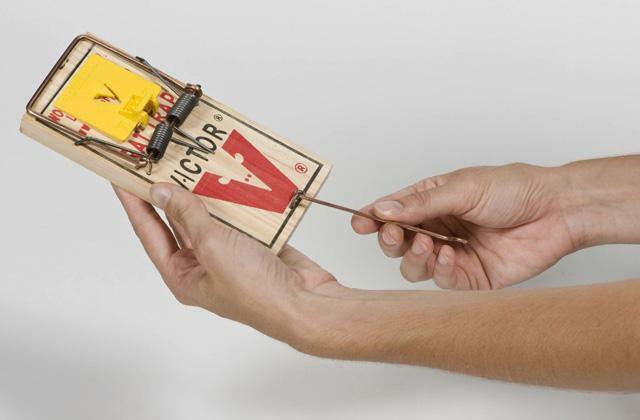 If you are not satisfied with your purchase for any reason, you may send it back for a full refund. Besides, you get an exclusive £19 Back Health eBook at no cost. Sleep is characterized by changes in your heart rate, breathing, brain wave activity, body temperature, and other physiological functions. Our body temperature is controlled by such mechanisms as sweating, shivering, and changing blood flow to the skin. You can promote good quality sleep by creating a favourable, healthy, and cosy sleeping environment. The level of thermoregulation ensured by high-quality bedding products is important for the comfort of your night's sleep. Most memory foam pillows absorb and hold your body heat, making you sweat. Memory foam is quite dense, which restricts the air from moving through the pillow. Pillows containing gels make your skin feel cooler by transferring the heat from your body to the gel. The Supportiback orthopaedic pillow has a heat-dissipating gel technology that allows absorbing the heat from your neck and head. 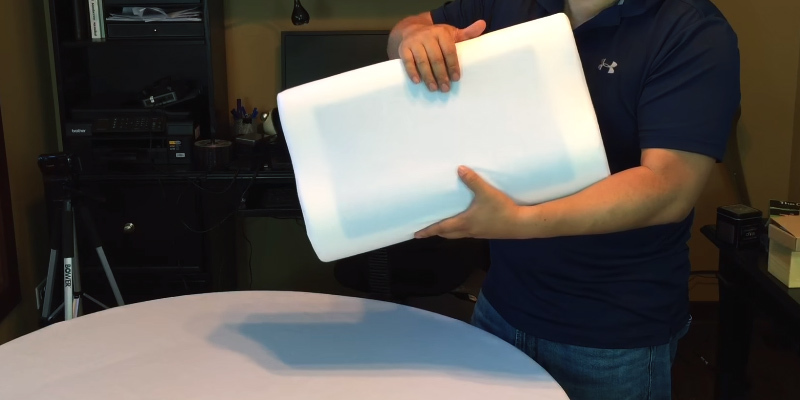 This pillow keeps you comfortable for a perfectly refreshing night's sleep. The MARNUR Contour Memory pillow is one of those products that are worth its weight in gold. Although it might seem a bit odd at first, it's engineered to a state of perfection so as to cater for every sleeping need. With the special ergonomic shape, this pillow provides multiple support to your cervical spine. Its contour maintains the natural curves of the neck to give it proper support, while the centre cavity helps to cradle the head for ultimate comfort. Also, the pillow boasts the wedge extension to support the thoracic spine and armrests to let you relax your hands. This smart design does not hinder the circulation and can help you resolve the body pressure. But the best part about this pillow is that it provides a custom fit to satisfy various sleepers needs. It looks nothing like tradition pillows and will suit back sleepers, side sleepers, and stomach sleepers alike. The MARNUR Contour Memory pillow gently promotes proper alignment of your spine, ensuring great support for your neck, head, and shoulders. 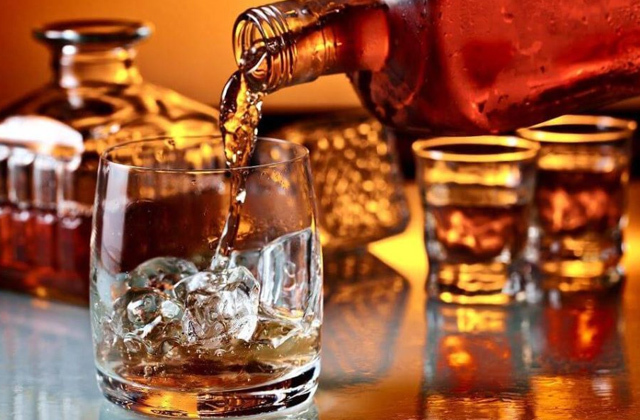 As a result, it alleviates pain and improves sleeping quality drastically. This large (64.5x37x14 cm) neck support pillow is made of slow-rebound memory foam that is very skin-friendly, breathable, and hygienic. 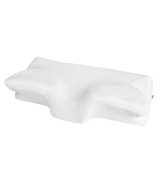 The foam keeps the shape of the pillow perfectly while offering maximum comfort for your restful sleep. 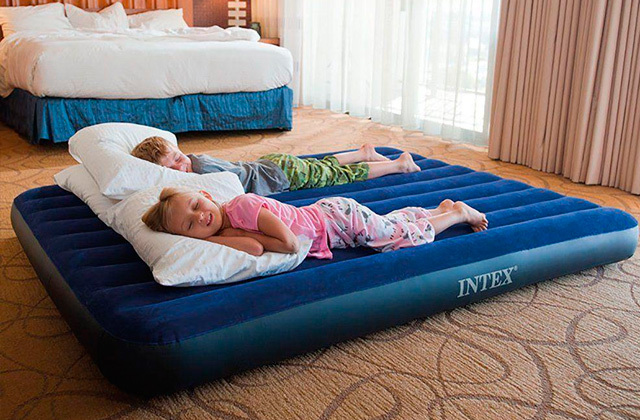 The foam is wrapped with a soft pillowcase made of rayon and polyester. The premium quality air cotton provides you with an exquisite experience, literally bringing you to the cloud of comfort. The pillowcase boasts vivid leaf logos that make it look classy and more expensive than it actually is. For extra long service life, the pillowcase can be unzipped and removed for cleaning. It's machine washable and reusable. 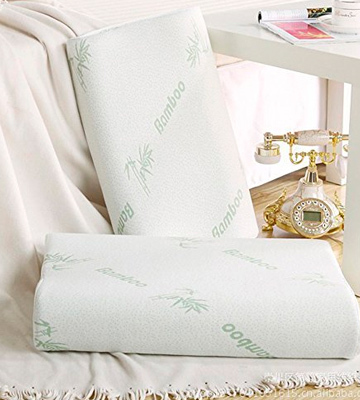 The last but not the least thing worth mentioning is that this memory pillow has undergone strict safety tests and is friendly with RoHS certification. 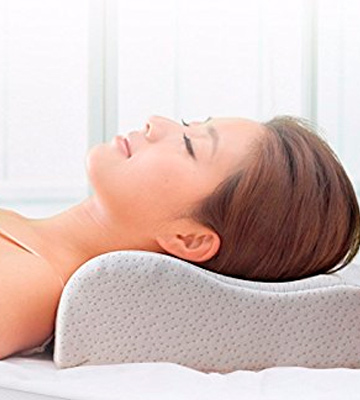 All the things taken into account, this unique pillow is a real salvation for people suffering from stiff neck or pain in their spine. Needless to say, this pillow also makes a wonderful gift. Even if you don't know the sleeping habits of the people in your life, you can rest assured knowing it's ideal for any sleeping posture. If you can’t get to sleep, however hard you try, you may be suffering from sleep disorders. Do you feel constantly tired due to lack of sleep? It can have a negative effect on your physical and mental health. The ROHI pillow provides relief from the most common sleep issues, including migraines, insomnia, back and neck pain, snoring, TMJ, and allergies. What is more, this orthopaedic pillow is hypoallergenic and resistant to dust mites that are the most common trigger of allergies and asthma. These microscopic pests prefer warm and moist environments and can live in pillows, bedding, and mattresses. Another huge benefit of this pillow is its antimicrobial nature. There are all kinds of microbes, commonly found in our pillows, that can cause temporary and chronic illnesses. Made of the space-aged Visco elastic memory foam, the pillow provides the ultimate comfort, conforms to the body's contours, and returns to its original shape. The pillow provides relief to pressure points and appropriate spinal positioning while you are lying in a resting position. You can custom mould it to your needs, no matter what your sleep position is. So, if you are an allergy sufferer or have some sleep issues, investing in the ROHI pillow is the perfect solution! Why Traditional Pillows Provide Incorrect Position for Your Head and Neck? If your pillow doesn’t keep your head properly, you are likely to suffer from neck and back pain. A pillow with incorrect thickness will position your head too low or high. If the pillow is too thick, your neck may bend upward and if it's very thin, your neck may bend downward at an awkward angle. A very soft pillow can’t support your head and neck adequately. Traditional bed pillows filled with down or polyester foam often lose their original shape under your head's weight. Besides, a soft pillow won’t provide the proper lateral support of the head. It won’t prevent your head from turning right or left, especially if you are a back sleeper. This will lead to lateral twists that can cause pain. If your head is properly supported, muscles can completely relax and you’ll get a better sleep with less pain in the morning. 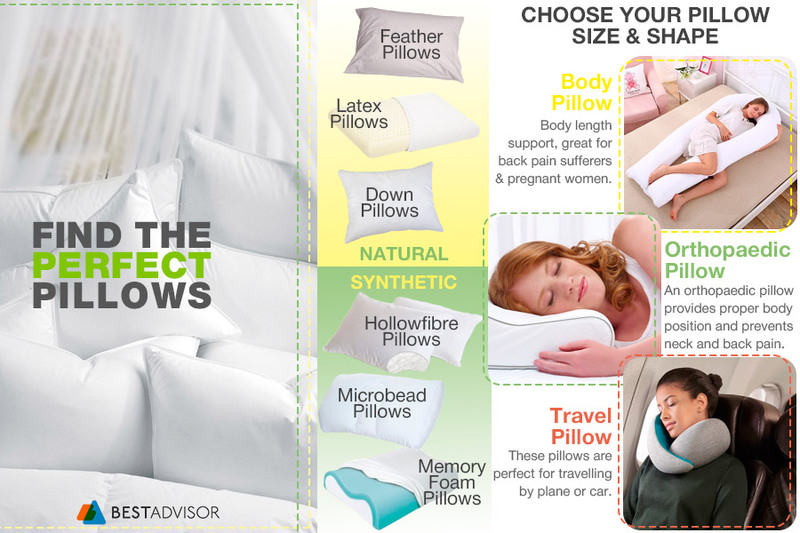 Orthopedic pillows will provide long-lasting comfort and superior support for your neck and head. The Litotree orthopaedic pillow for neck provides maximum comfort and support for people of all sleeping positions. It has perfect height and medium firm feel. The pillow suits side, stomach, and back sleepers, but the level of pillow loft varies depending on your overall body size/weight, head size/weight, shoulder width, and sleeping position. The pillow supports your neck and relaxes muscles while sleeping on your back so you can get a more restful sleep. Also, it naturally fits your shoulders while sleeping on the side, filling the space between your neck and shoulders. The contoured design perfectly adapts to the weight of your head and neck, positions them in better alignment with your spine to help eliminate pressure points. The pillow can also help provide relief for those who suffer from stress, insomnia, and snoring, ensuring an uninterrupted night's sleep. 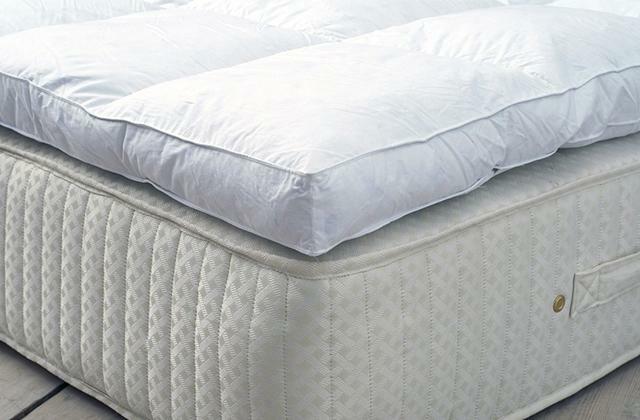 The high-quality memory foam conforms to your sleeping positions and gives the orthopaedic support you need. No matter what your sleeping posture is, you will feel the difference every morning. The Litotree Neck Pillow is specially designed for those who need neck support or neck pain relief. The pillow relieves back, shoulder, and neck pain by fully relaxing your neck and shoulder muscles. It’s soft but firm and dense, yet breathable. 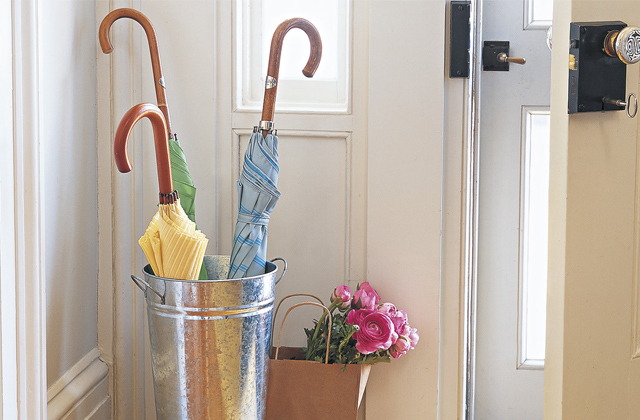 Store the pillow in a dry, cool place, avoiding direct sunlight. The inner core should be spot clean with a damp cloth. If you have allergies or wake up with a blocked nose, it may be caused by the pillow you sleep on. The type of pillow you use can make the problem worse, as it can be the perfect habitat for dust mites that trigger allergy reactions. So, it can be wise to get a hypoallergenic pillow, which prevents allergens from accumulating within its fibres. The Litotree Neck Pillow doesn’t contain any toxic ingredients such as PBDE, chloride, methane, or formaldehyde and provides protection against allergens like dust mites, bedbugs, mould, and other bacteria. If you feel a “fresh foam” odour, it’s not harmful to your health. The odour will dissipate a few days after you unpack and air out the pillow. There is a great variety of pillows designed to improve the quality of your sleep. Although there’s no one size fits all approach to pillow manufacturing, yet you can find a pillow which will cater to your exact needs and expectations. Do your back and neck a favour and ensure a better sleep by using the Litotree Neck Pillow. 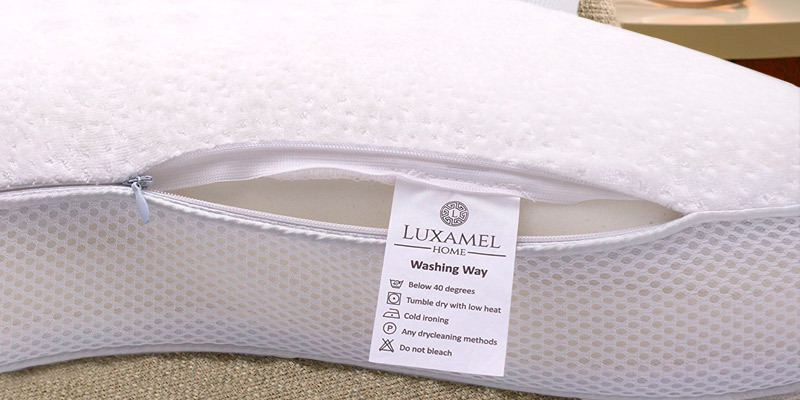 The Luxamel pillow offers a unique sleeping experience. The special star shape helps maintain a natural body posture as you sleep. This facilitates the respiratory system and helps prevent hollow cross position while sleep. The improved oxygen supply helps reduce snoring. Also, it relieves tension, reducing pressure on your back and neck. The skin-nourishing, thermo-regulating Tencel cover was designed for people with sensitive skin. It nurtures your skin overnight and provides the optimal balance of comfort and support of the cervical spine and neck. Besides, the Tencel cover leaves a soft feeling on your skin and provides an eco-friendly protection against moths, mites, and bed bugs. Thanks to its breathable material with built-in ventilation channels in the foam core, the pillow provides an optimal air circulation inside and ensures a perfect temperature regulation during your sleep. It's ideal for different sleep positions, no matter if you are a stomach, back, or side sleeper. Besides, the pillow conforms to all head shapes. Simply turn it to adjust to your height and shape. Made from memory foam, the pillow is suitable for allergy sufferers and asthmatics. The innovative Visco elastic memory foam ensures that the pillow always goes back to its original shape. It comes with a removable cover that can be washed in a washing machine. The Luxamel pillow conforms to the OEKO-TEX® Standard 100 that means that it's free from harmful substances. Sleeping peacefully when you are uncomfortable is a losing battle. Thus, a good orthopaedic pillow is undeniably worth the investment. 1. Orthopedic pillows help maintain the right sleeping posture all night long, which is important for your physical and emotional well-being. Though traditional pillows may be comfortable, yet they don’t guarantee the proper posture during sleep. 2. Orthopedic pillows help relieve some common physical ailments. Sleeping without adequate support is among the most common causes of neck and back pains. 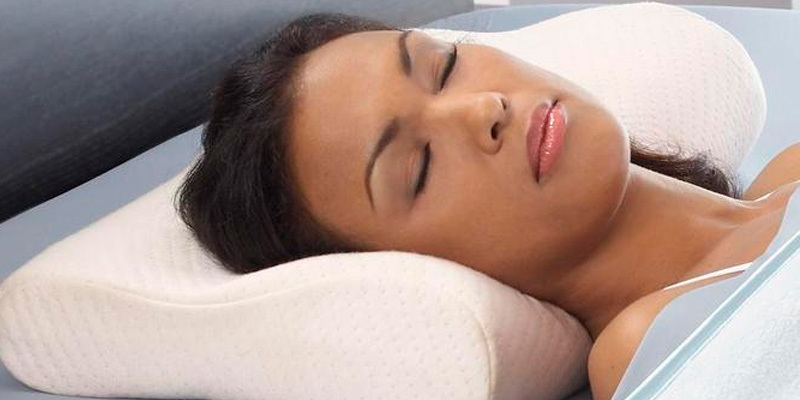 Orthopedic pillows provide the neck and head support necessary for a good night's sleep. This type of pillow is designed to conform to the natural curves of your body, keeping your skeletal structure in proper alignment throughout the night. 3. Orthopedic pillows provide unparalleled comfort. Who says only traditional pillows can give you a comfortable sleep? As with any new experience, you may find an orthopaedic pillow a bit uncomfortable at first. However, when you get used to its contours, you will find that it provides a better quality of sleep than any other pillow. The orthopaedic pillows are made of memory foam and microfiber that are ideal for getting the rest you need to be at your best. It should be noted that orthopaedic pillows are normally more expensive than traditional ones. Yet, if you treat this purchase as an investment in your health, it may be easier for you to part with your money. What Is an Orthopaedic Pillow? Orthopaedic pillows are designed for correcting body positioning in bed. They ensure the right support and placement of specific body parts, providing a quality night's rest. To provide comfort. The more comfortable you feel yourself in bed, the faster you fall asleep. To ensure a correct sleeping position. A good pillow supports your head and neck and put them in the correct position. This prevents muscle pains in the head, back, neck and shoulders. Orthopaedic pillows are considered as therapeutic pillows, as they help relieve a variety of health conditions, namely such as insomnia, snoring, acid reflux, sleep apnoea, gastroesophageal reflux disease, sciatica pain, breathing difficulty, lower back pain, blood circulation problems, whiplash, neck pain etc. There are a great variety of orthopaedic pillows on the market for different parts of the body, sleep disorders, and physical ailments. In addition to a good pillow, we recommend you to consider buying one of the foam memory mattresses. It's a great contribution to the quality of your sleep that will provide maximum support to your head and neck as well as keep your spine properly aligned. There are multiple factors affecting the quality of your sleep and one of them is your pillow. Taking time to find out which pillow type is right for you will help you wake up well-rested and in a good mood. Today orthopaedic pillows come in a range of styles and shapes. But what pillow should you choose? Soft, medium or hard, big or small? Let’s consider the main factors to be taken into account when choosing an orthopaedic pillow. Stomach sleepers require very little support, so they should go for a flat and relatively soft pillow. Having a soft pillow will help their neck stay in line with your spine. Back sleepers should choose a medium thickness pillow, which provides enough support for their head and neck. It shouldn’t be too thick, as it will tilt their head far forward, or too soft so that it tilts their head upwards. Medium firmness is the best for this sleeping position. Side sleepers need a firmer and thicker pillow that will fill the gap between the mattress, keeping their head and neck in line with their spine. Pillows which are best suited for this particular sleeping position fall within the thickness range from firm to medium. Mixed sleepers should go for medium thickness pillows so that they can use it comfortably in various positions. There is a great variety of orthopaedic pillows designed for different parts of the body. 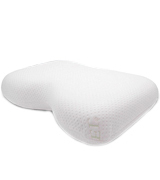 - Body orthopaedic pillow provides total body support for head, back, lower back, shoulders, neck, knees, and legs. - Cervical pillow has a curved design which helps relieve headaches, stiff neck, frozen shoulder, reduce sleep apnoea and snoring symptoms. - Wedge pillow is a triangle-shaped pillow with a slope to place the body in a diagonal position. It can be used in a downright or upright position. Yet, this pillow is generally used to relieve common symptoms of gastroesophageal reflux disease and acid reflux. - Lumbar pillow supports the lower back for relieving lumbar pain and keeping a correct sitting position. It's also used as a neck support for relaxation and massage and under knees for leg elevation. - Donut pillow is round, but with a hole or empty space in the middle. It’s used by those who suffer from haemorrhoids and have some colon problems. 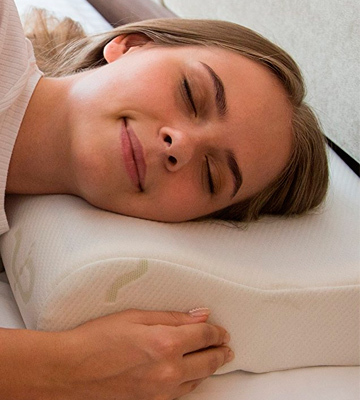 - Memory foam pillow contours to your head, prevents your neck from bending, and allows your spine to remain aligned. 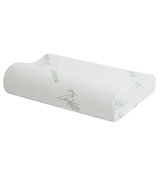 - Quad cushion is commonly used by pregnant women. It’s placed between the knees and thighs and helps relieve back pain. - Neck pillow fits around your neck and is usually used by travellers or those who suffer from neck pain. Gel pillows. The gel is made from polyurethane or silicone materials that are good for body temperature regulation and are known for their excellent cooling properties and pressure relief. Visco-elastic memory foam pillows. Depending on its density and chemicals used, visco-elastic is softer in warm temperatures and firmer in cool temperatures. These pillows mould to your shape allowing you to achieve neutral spinal alignment all while providing support to the spine and muscles of the neck. 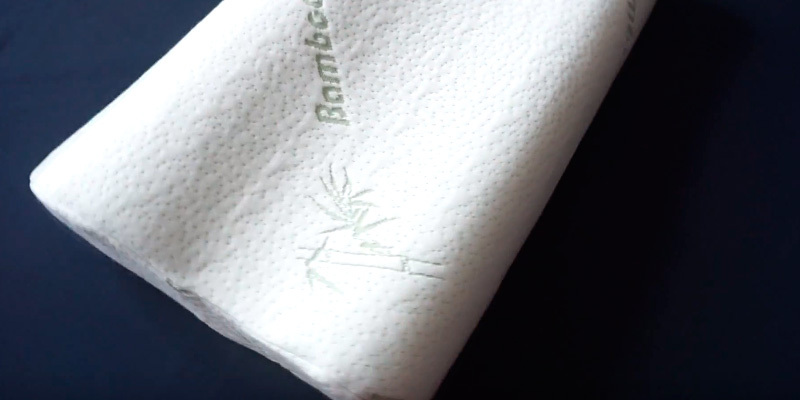 Bamboo pillows are dust mites proof and resistant to other bacteria that cause respiratory problems and allergies. These pillows are recommended for people suffering from snoring, lung problems, asthma, and allergies. These pillows are excellent at absorbing moisture and keeping users at a comfortable body temperature during sleep. When buying an orthopaedic pillow, you should take into consideration all these factors. Choose a pillow which matches with your specific health needs and sleeping habits best. When it comes to pillows, the first thing which comes to mind is sleep. These seemingly ordinary objects are more than just a headrest for sleeping. They have a long, interesting history behind them. Here are some interesting facts that will change the way you look at the pillows. The pillows we know now differ a lot from the first ones used by people in terms of the materials used, appearance, and functions. The First Pillows Used to be Hard. The first pillows were used in Ancient Mesopotamia in 7000 B.C.E. Unlike modern pillows, the ancient pillows were made of stone and used only by the wealthy. The more stone pillows you had, the higher your rank in society was. Similarly, wealthy ancient Egyptians used stone pillars to sleep with their heads elevated, which prevented insects from crawling into their noses and ears. Egyptians regarded the head as the seat of life and gave much attention and money to pillows for the dead. The wealthy Greeks rested feet and their heads upon decorated bolsters and cushions. People in ancient China believed that soft pillows sucked the vitality out of their bodies during sleep, therefore they made pillows from leather, wood, stone, and ceramic. Some pillows were filled with herbal remedies to treat diseases, restore lost teeth, and inspire sweet dreams. Pillows Became a Popular Household Item During the Industrial Revolution. As stated above, only the elite used pillows in ancient times. During the Middle Ages in England, only women in labour used pillows. The pillows were viewed as a sign of weakness, so they were seldom used by men. In the United States and Europe, pillows gained popularity during the Industrial Revolution, when they were produced in large textile factories. Mass production allowed pillows to become cheaper and many households started using them not only as a headrest when sleeping but also for decorative purposes to add accent or contrast in a room. - Throw pillow is a small pillow generally used on couches or chairs for decoration. - Cushion is bigger than a throw pillow, comes in more sizes and is meant to be sat on. - Cylindrical-shaped pillow, known as a roll or bolster, is usually used for hugging during rest or sleep. - Bed pillow is the one people commonly use when sleeping. Pillows Are not Just for Sleeping. The pillows are primarily used as a headrest when sleeping. However, their functions have evolved. Today we have neck pillows that can be used for a more comfortable sleep on a plane or in a bus. There are also pillows designed for pregnant women, which hold the belly and take pressure off the back. Besides, there are pillows which offer specific health benefits, like temperature-sensitive pillows, herb-infused pillows, and magnetic pillows. Orthopedic pillows are also developing rapidly. They are filled with foam and some even contain water or gel that can be cooled or heated. These pillows help to relieve back, lumber and neck pain. Some pillows keep the head elevated to relieve puffy eyes, sinus problems, and congested lungs. A: Memory foam was developed by NASA to help keep pilots cushioned during flights. It responds to the body heat, improves circulation, and helps relieve pressure points. These unique qualities make memory foam pillows the best on the market for providing users with a quality night’s sleep. Nowadays, memory foam is used for making pillows, mattresses, movie theatre seats, shoes, and football helmets. Q: What pillow should I buy for my sleeping posture? A: To pick out the correct pillow, first determine your preferred sleeping posture: stomach, side, or back. If you like to sleep on your side, then opt for a firmer pillow that lets your head be higher off the mattress and keep the spine aligned. If you mostly sleep on your back, use a soft or medium pillow. If the head is too low or too high, this creates pressure and strain the neck. Stomach sleepers should choose the softest pillows, as they need minimal lifting of the head. Many health specialists don’t recommend sleeping on the stomach since this puts extra pressure on your stomach, upper back and neck areas. Besides, you have to turn your head to one side for breathing, twisting your neck that increases your chances for a neck pain. Q: Will an orthopaedic pillow make me hot? A: No, it won’t. The pillow is made of breathable and self-ventilating material. 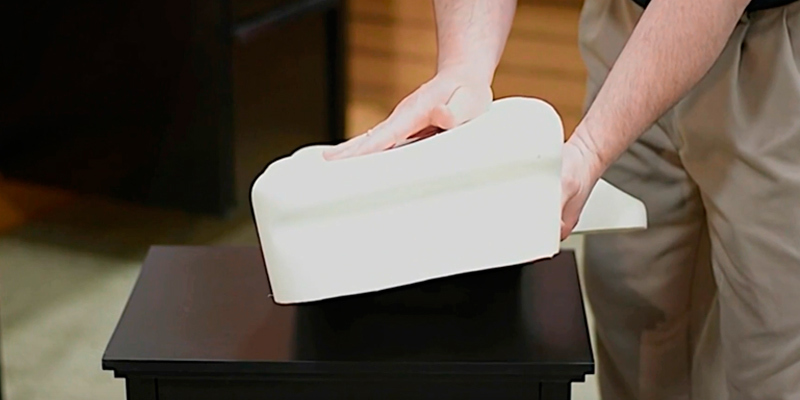 Unlike polyester or feather filled pillows that cause pressure points, the unique memory foam construction of orthopaedic pillows relieves pressure, providing better circulation. 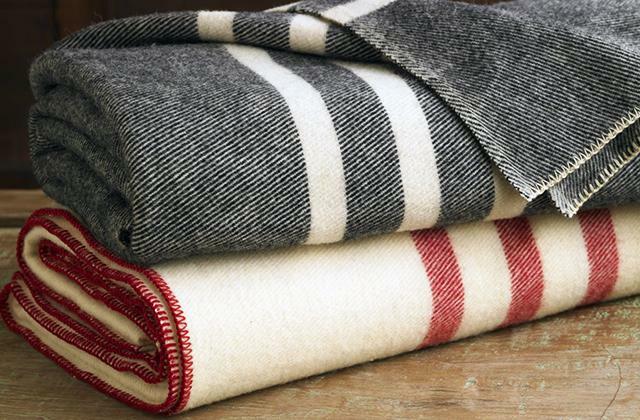 Due to increased circulation throughout the body, you may find out that you need fewer blankets for a comfortable sleep. Q: How durable is an orthopaedic pillow? A: A high-quality pillow lasts several years before it needs to be replaced. Opt for reputable manufacturers, offering longer warranties. Q: How long will it take me to get used to my orthopaedic pillow? A: Some people immediately feel comfortable on the pillow while others, who used to sleep on a very soft surface, may need some time to get used to the unique feeling of memory foam material of the new pillow. Q: How to clean my memory foam pillow? A: To keep a clean pillow, you should find out what material is used inside. If you have natural down feathers, solid memory foam, polyester fiber, or latex foam, the best thing for protecting your pillow is to use a removable cover made from a natural, breathable fibre like linen, cotton, or bamboo. 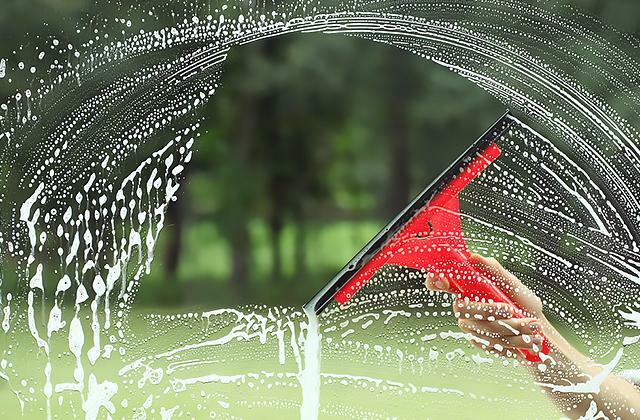 Wash it once a month with hot water and more frequently in hot weather. Although solid moulded memory foam pillows are hypoallergenic and resistant to dust mites and other bacteria, they still should be washed one or two times a year. A similar cleaning technique is used for gel-infused memory foam. 1. Orthopedic Pillow, Wikipedia. July 13, 2017. 2. Your Guide to Buying a Memory Foam Pillow, eBay. January 15, 2016. 3. How to Choose a Pillow, wikiHow. 4. Benefits of Orthopedic Pillows, jacelynslayton6's diary. November 28, 2017. 5. 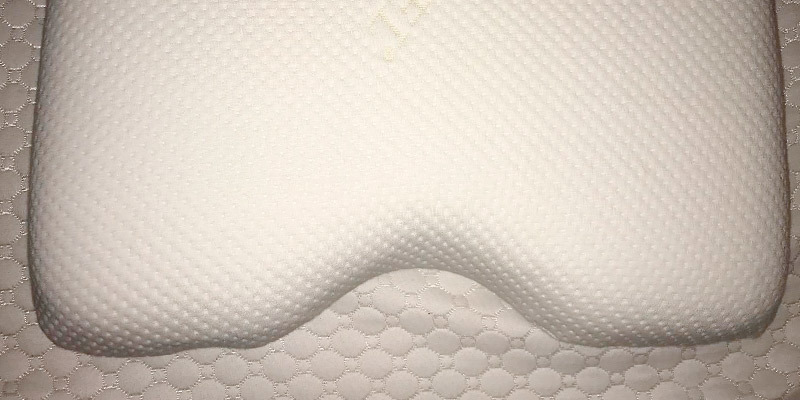 Annie Stuart Memory Foam: Pros and Cons, WebMD.